Ron Hogan talks with Carolyn about her fifteen years of work on the first full-length biography of the expatriate poet and artist Mina Loy. National Public Radio, "Biographer Carolyn Burke"
KRCB-FM Word by Word host Gil Mansergh discusses Foursome with Carolyn. Carolyn Burke in conversation with Oscar Villalon, Managing Editor of ZYZZYVA about Foursome. Lit Hub Book Marks Review, "Carolyn Burke: Five Fascinating Group Biographies"
Jane Ciabattari in conversation with Carolyn, who shares five books that inspired, spurred, or otherwise helped her to think of writing group biography. Carolyn is interviewed for Piaf's centenary. 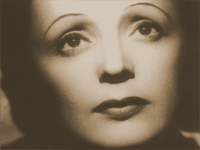 BBC Radio 4, "Singing Piaf with No Regrets"
Carolyn sings and talks with chanteuse Caroline Nin. Fréquence Protestante interview with Charles Ficat. KCRB Rohnert Park, California,"A Novel Idea with Suzanne Lang"
Suzanne Lang and Carolyn discuss No Regrets for NPR affiliate station. Oline Eaton and Carolyn talk about Piaf, Paris, and the art of biography. Carolyn interviewed for feature on Piaf's iconic song, "Non, je ne regrette rien." Illustrated interview in Portuguese. English translation. Stephen Thomson talks with Carolyn about how she became a writer, her life on tour for No Regrets, and her advice for young writers. AFP interviews Carolyn on her reassessment of the great French icon. ABC Sydney, "Conversations with Richard Fidler"
Richard Fidler of the Australian Broadcasting Company converses with Carolyn and plays Piaf songs during the Sydney Writers' Festival. ABC Melbourne, "Head or Heart?" Carolyn in a lively discussion of Piaf and other unconventional women with Sally Warhaft, Rachel Berger, and Nadine Garner. David Morriss and Carolyn talk during the Auckland Writers Festival. New Zealand Herald, "The Legend Who Lived for Love"
Linda Herrick interviews Carolyn on the stories behind the writing of No Regrets, during the Auckland Festival. Helen Greenwood talks with Carolyn about Piaf, her choice of biographical subjects, and life as an expatriate Australian writer. Jane Garvey speaks with Carolyn about the many Piaf legends. Harriet Gilbert and Carolyn talk about Piaf's resistance work during World War II. WTKS Savannah, "Speaking of Writers with Steve Richards"
Steve Richards talks with Carolyn about No Regrets. Mark Lynch and Carolyn on No Regrets for New England Public Radio. Elliott Forrest and Carolyn on No Regrets for New York Public Radio. KUSP Santa Cruz, California, "7th Avenue Project"
Robert Pollie's spirited interview with Carolyn interspersed with Piaf's songs, for Santa Cruz NPR affiliate. KZSC Santa Cruz, California, "Artists on Art"
Nada Milijkovic talks with Carolyn about writing No Regrets. KCRB Rohnert Park, CA,"A Novel Idea"
Suzanne Lang and Carolyn meet at the Palace of the Legion of Honor to look at Lee Miller's photographs and to converse. Monocle 24 London, "A Surrealist Eye at War"
Special program with Carolyn on the life and legacy of Lee Miller. 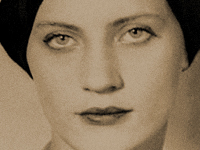 Radio New Zealand, "Sunday Morning"
Chris Laidlaw and Carolyn discuss Lee Miller, A Life. 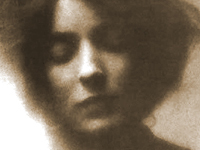 Mina Loy was a quintessential Modernist artist, essayist, and poet who most people never heard! She lived in the center of circles that included Gertrude Stein, Marcel Duchamp, and Man Ray. Carolyn Burke, author of Becoming Modern, the Life of Mina Loy joins Suzanne Lang in conversation. Australian poet Pam Brown talks with Carolyn about Becoming Modern and the life of Mina Loy.